After much speculation, President Cyril Ramaphosa last night announced changes to his national executive, dropping several ministers viewed as either corrupt or incompetent. Notable ministers who were removed include Faith Muthambi, previously Public Administration minister; Fikile Mbalula, previously Police minister; and Lynne Brown, who was previously Public Enterprises minister. Announcing the changes, Ramaphosa said the reshuffle would ensure government delivered better. “The changes are intended to ensure that the national government is better equipped to continue implementing its mandate,” he said. Ramaphosa, who took over as the country’s president on February 15, had been under pressure from both his supporters and the South African public to replace ministers that had been viewed as either underperforming or embroiled in controversy. The ANC’s alliance partner, the South African Communist Party (SACP), commended Ramaphosa for consulting the alliance prior to announcing the new cabinet. “Unlike under the previous president, Jacob Zuma, where alliance partners were not consulted, I can confirm that President Cyril Ramaphosa consulted us as an alliance partner. “It shows that he is not implementing his personal ideas but those of the ANC, its alliance and wider social partners. He is not treating government as his private entity and we support him for that,” SACP national spokesperson Alex Mashilo said. Mashilo said the SACP had insisted that none of the ministers implicated in allegations of state capture should be returned. Ramaphosa, whose swearing in as the country’s president followed his election as ANC president during the party’s national conference two months ago, had made it clear that matters of unity and clean governance would be the cornerstones of his presidency. While Ramaphosa had been expected to put together a highly competent team of cabinet ministers, political analyst Somadoda Fikeni said there were a number of other factors that the president had to take into account when assembling the executive team. “He had to bring in the youth, women and also ensure that those who campaigned for former AU chairperson Nkosazana Dlamini-Zuma were also brought in for the sake of unity within the ANC,” he said. Social media was prior to last night’s announcement abuzz with speculation around people who were likely to make it into Ramaphosa’s cabinet. Mbalula informed his Twitter followers about his axing hours before Ramaphosa’s announcement. “I have packed already let’s move on,” the former minister tweeted. The appointment of ANC deputy president David Mabuza as the country’s deputy president ended speculation that Ramaphosa would appoint a woman to the second most senior position in government. 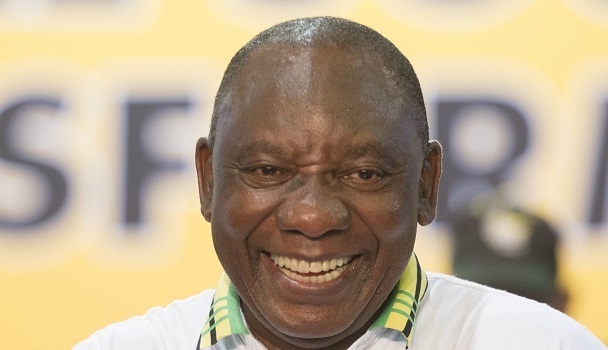 Wits University political scientist Susan Booysen said it would have been difficult for Ramaphosa to go against the ANC tradition where the party’s deputy president becomes the country’s number two. “It would have been difficult for Ramaphosa to justify any deviation from that practice,” she said.